Click here for audio of Episode 510. Today, a new look at Ben Franklin's old kite. The University of Houston's College of Engineering presents this series about the machines that make our civilization run, and the people whose ingenuity created them. Few things loom larger in our American myths than Ben Franklin and electricity. The bare bones of the legend say that Franklin flew a kite into the sky -- that he showed the world how to harness the wild electric forces of nature. 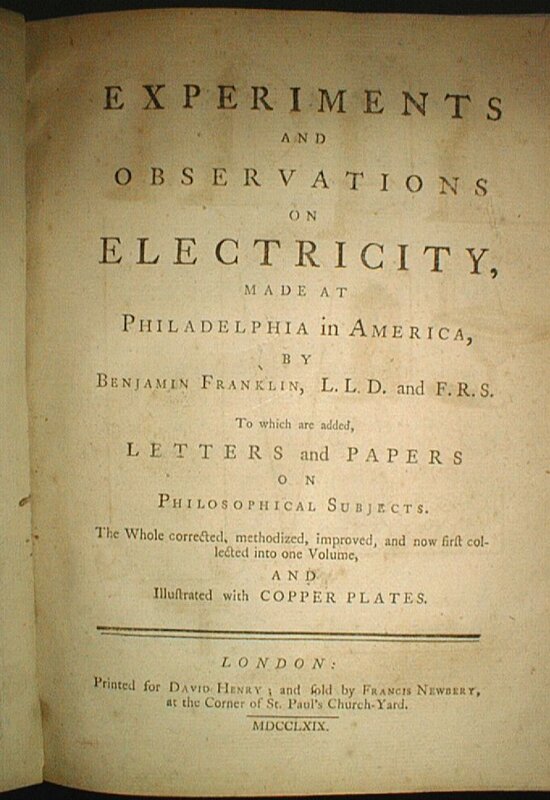 Franklin began working on electricity after he heard a lecture about it in Scotland in 1743. Five years later he sent a letter on electricity to the Royal Society. 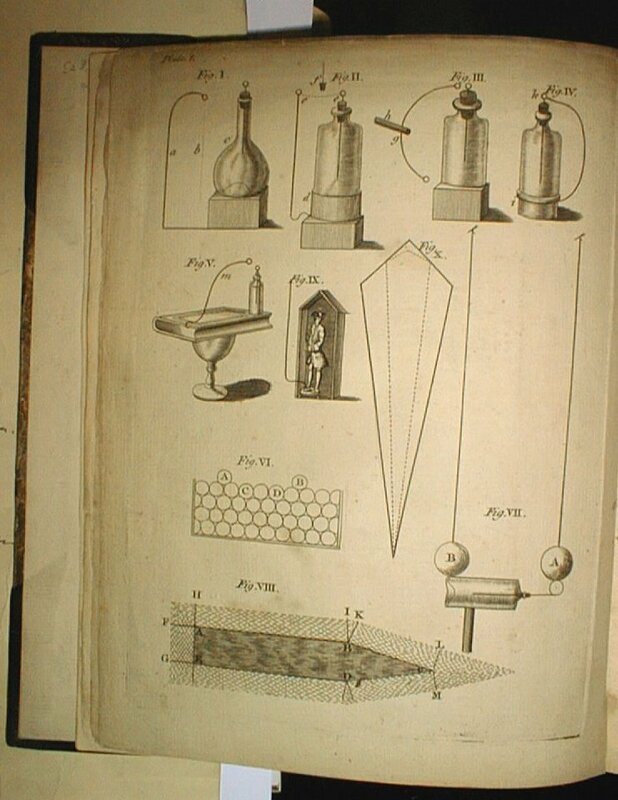 In 1751 he published his book of electrical experiments in England. The English reaction to the book was generally favorable. It had a lot of important stuff in it. Franklin talked about his kite. He showed how to make lightning rods. He told us about negative and positive charges. Meanwhile two French scientists were quarreling over other matters entirely. One had a student who'd written on electricity. When his foe saw Franklin's book, he arranged a French translation. That was pure malice. In the preface, he claimed no one but Franklin had done anything with electricity. The book took Franklin to center stage in France. 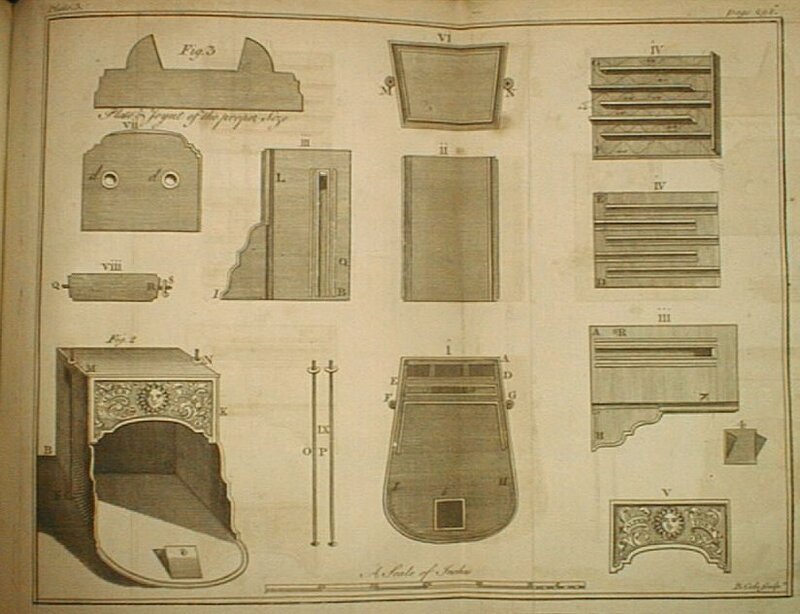 Louis XV was fascinated. Lightning rods sprouted over Paris. Of course King George was gravely unhappy with Franklin's politics. He angrily told his science advisor to declare that Franklin's lightning rod design was wrong. The advisor told him that laws of nature could not be changed at royal pleasure. The king fired him directly. Franklin had troubles in America, too. After an earthquake in 1755, a cleric claimed Franklin had caused it by directing all that lightning into the ground. "Oh! There is no getting out of the mighty Hand of God!" he screamed at Franklin. The picture is clearer under history's lens. No doubt Franklin's huge presence in other areas helped his work. He was so visible as a revolutionary, as a writer, as a designer of America. When we look closely, we find that others did some of his electrical work independently. A Czech priest probably invented the lightning rod first. A French lawyer certainly did the kite experiment before Franklin did. Yet Franklin organized ideas and drove them into the world. He gave them so much context. If some of his ideas weren't original, Franklin himself was always an original. He moved straight to the center of the entire 18th-century stage. He redefined the stage while he was on it. And from that stage he called down lightning bolts of change on the whole Western world. I derive many ideas here from a term paper for my course MECE 3301, Technology and Western Culture: Social Determinants of Franklin's theory of Electricity as a Paradigm , by Jack Hong. 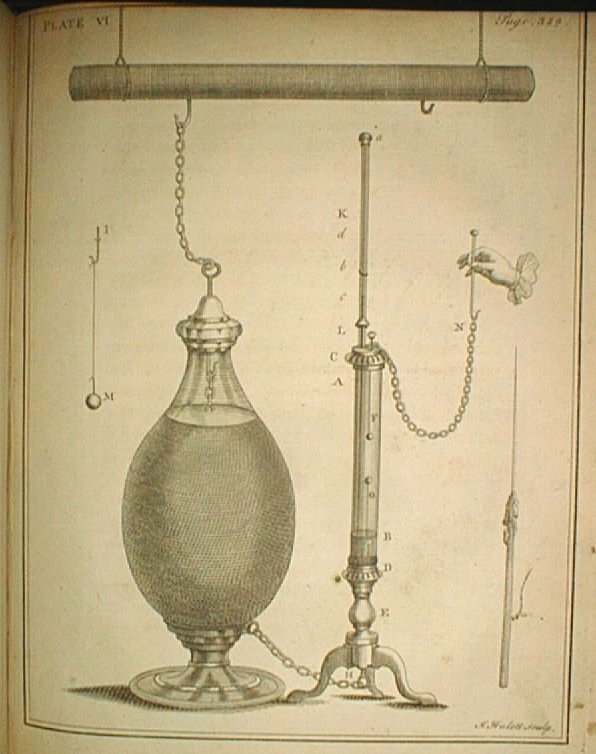 Franklin, B., Experiments and Observations Made in America at Philadelphia ... 4th ed., London: Printed for David Henry; and sold by Francis Newbery, at the corner of St. Paul's Church Yard: MDCCLXIX. The letter to Franklin's brother appears on pp. 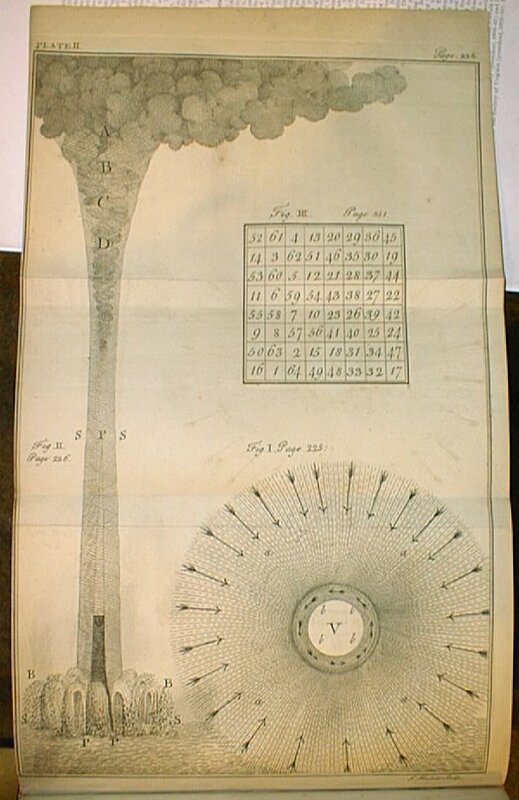 473-478, and a letter describing the design of the glass armonica appears on pp. 427-433. For more on Benjamin Franklin use the SEARCH function. See especially, Episodes 1377, 141, and 710.